Welcome to the Charger Rocket Works’ NASA Student Launch website! Charger Rocket Works (CRW) is a group of mechanical and aerospace engineering students participating in their senior capstone course at the University of Alabama in Huntsville. This year’s team consists of 20 engineering students and 15 communications students. 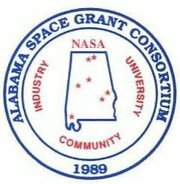 While CRW participates in the NASA SL competition annually, due to the nature of CRW and the engineering program at UAH, each year a new group of students forms a team for the competition. Feel free to look around the website! Here you will find photos of the team, updates on the team’s competition progress, design and safety documents, all of our educational engagement events for the season, posts from previous years and links to our social media pages! Thanks for visiting, and Charge On!